We've written about the importance of bees for their pollinating role in keeping our nature lands alive and the fact that their population in the UK is dwindling at a rate quick enough to properly concern conservationists. Well our friendly bees have more than just a few sweet delights to offer us. Did you know that propolis comes from mixing plant exudates with beeswax? And guess who does the mixing - our buzzy worker bees! 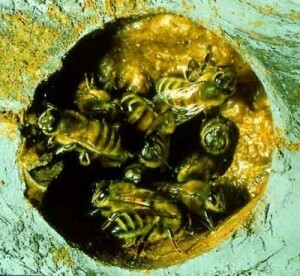 Bees make the pasty propolis to smother the inside of their hives to make it more secure. It also provides an antiseptic coating that reduces the growth of bacteria, viruses and moulds inside their homes. As we seem to learn best from nature itself it's no surprise than we've adopted propolis for our own medicinal uses. People commonly use propolis to treat cold sores with Propolis Ointment. 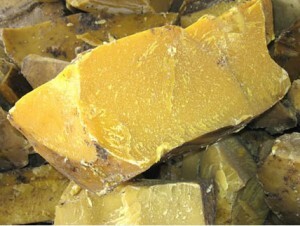 It is rich in amina acids and flavonoids which work to have an antiseptic, antibacterial and antifungal effect. Essentially propolis inactivates the Herpes Simplex virus meaning it stops cold sores from replicating as well as preventing infection around the sore. For the person with the cold sore it means less pain and quicker healing time. If you suffer from allergic reactions to bee products you should most certainly avoid propolis.